With fellow heartthrob Nancy Sinatra riding shotgun, Elvis Presley moves to the fast lane in this action/comedy set in the world of stock car racing. 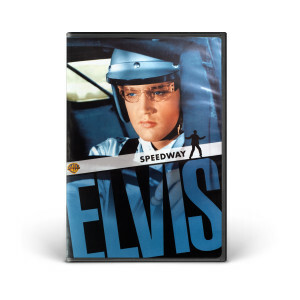 Steve Grayson (Elvis) has long been king of the race track, so he's surprised when the IRS--in the person of slinky agent Susan Jacks (Sinatra)--starts breathing down his neck about $145,000 in unpaid taxes. The stock car star learns that his manager has been blowing his contest winnings at a racing arena of another kind, betting on horses. Now Steve must win all of his races not only to keep his title, but to pay his debt to the Taxman.